I'll go with 15 different Triangles over the 5 Faces of Hitler any day. Triangles are my favorite. Any kind of Triangles. 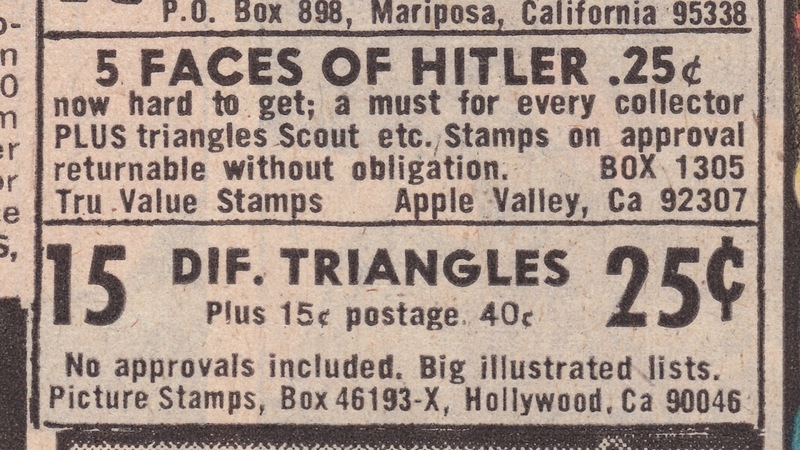 They mention the Triangle Scouts in the Hitler Ad. Everyone knows you shouldn't mess with the Triangle Scouts.